The book was awarded the W.W. Howells Book Award by the Biological Anthropology Section of the American Anthropological Association. What can fossilized teeth tell us about the life expectancy of our ancient ancestors? How did farming play a problematic role in the history of human evolution? How can simple geometric comparisons of skull and pelvic fossils suggest a possible origin to our social nature? And what do we truly have in common with the Neanderthals? 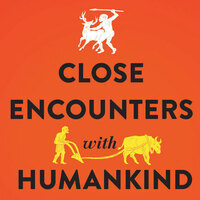 In this captivating international bestseller, Close Encounters with Humankind, Korea’s first paleoanthropologist, Sang-Hee Lee, explores some of our greatest evolutionary questions from new and unexpected angles. Sponsored by Georgia Elliott, the Elliott family and the Center for Ideas and Society. Free and open to the public. Made possible by gifts from Emory’s family and friends, the Emory Elliott Book Award honors the book published by a CHASS faculty member during the previous academic year that, in the judgment of the selection committee, best exemplifies the values that characterized Professor Elliott and his contributions to life and letters. Fascinating talk! Really enjoyed the content and the delivery.